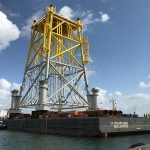 The Jacket Foundation for the Merkur Wind Farm Offshore Substation, designed by Sea and Land Project Engineering, was loaded out onto a barge at the Smulders Group Iemants yard in Vlissingen, Holland, on 5th September 2017. 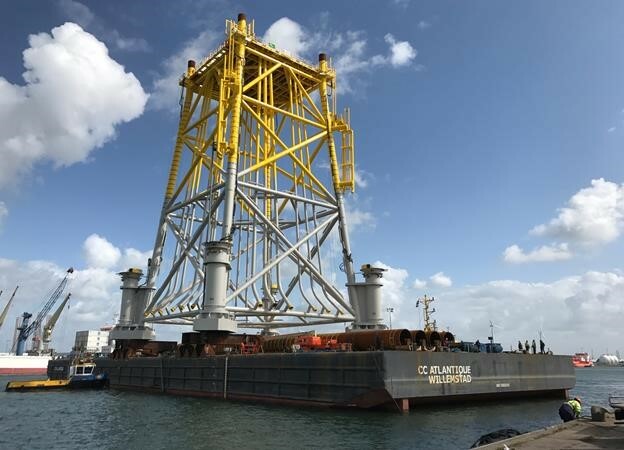 The Jacket, weighing almost 1,700 tonnes will be shipped from Vlissingen to Eemshaven, and from there to its final destination in the German North Sea in the coming weeks. 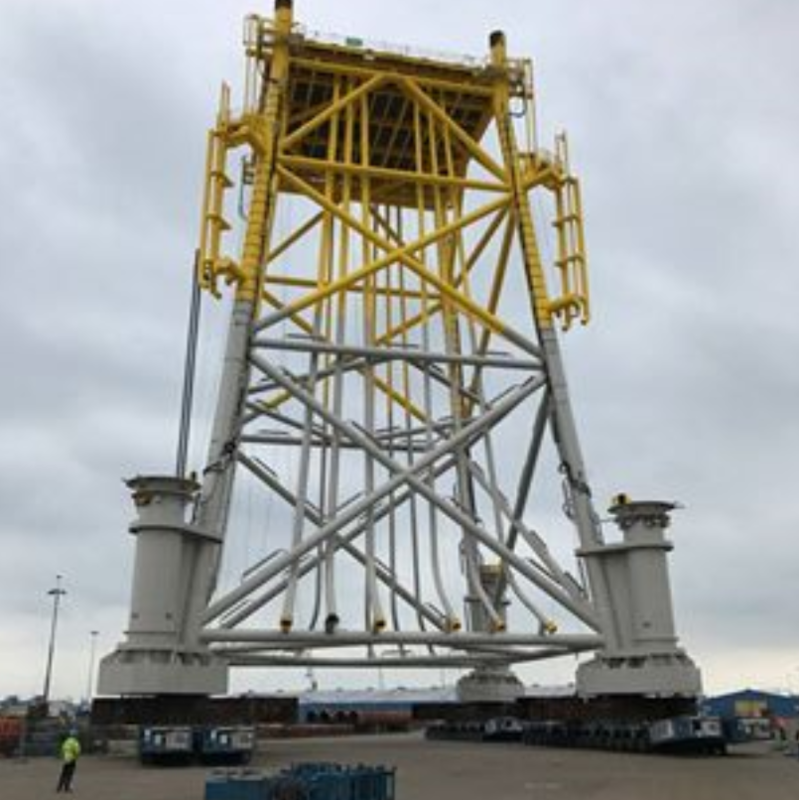 Meanwhile, final assembly of the Substation Topsides is currently underway at the yard of Smulders’ joint venture partner Engie Fabricom in Hoboken, Belgium and will be ready for load-out and sail-away in December after which it will be installed offshore. 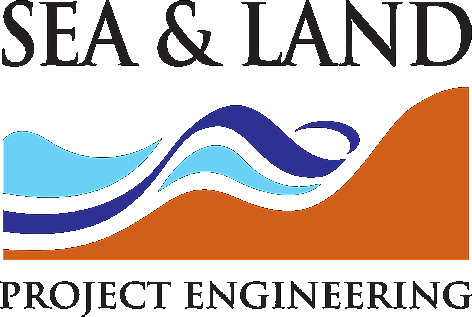 Sea and Land Project Engineering was awarded the Design contract for the Substation Jacket by Iemants Staalconstructies towards the end of 2015 and has been designed to support in addition to the Substation Topsides, 16 J-tubes and two Boat Landings in a water depth of 30 metres. 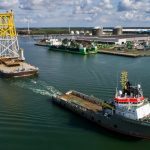 The design was subject to the demanding criteria of the BSH German offshore regulations to achieve Design Certification. 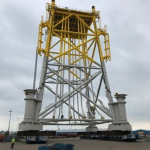 SLPEL has now completed a number of Offshore Substation designs to this comprehensive and exacting German Offshore Standard, making our company exceptionally skilled at satisfying these stringent design requirements. 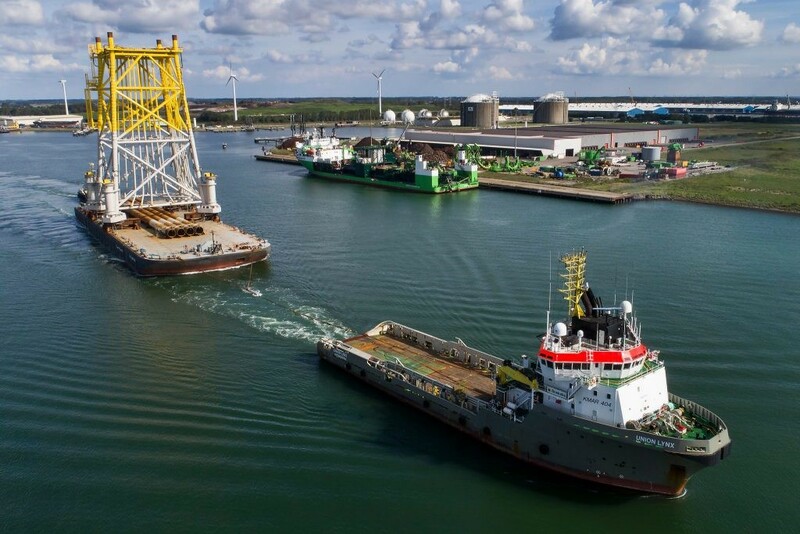 The Merkur Wind Farm is located approximately 45km north of the islands of Borkum, in the German North Sea. It will consist of 66 turbines and will generate approximately 1,750 GWh annually, enough clean energy to power around 500,000 homes. The wind farm is scheduled for commissioning in 2018.